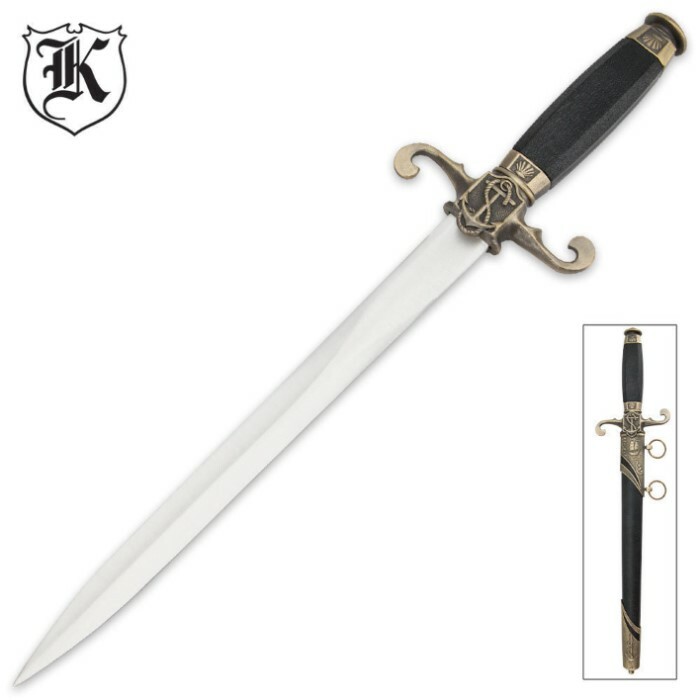 Historical Sailors Dagger Knife | BUDK.com - Knives & Swords At The Lowest Prices! Set sail with this historical Sailor's dagger in hand! 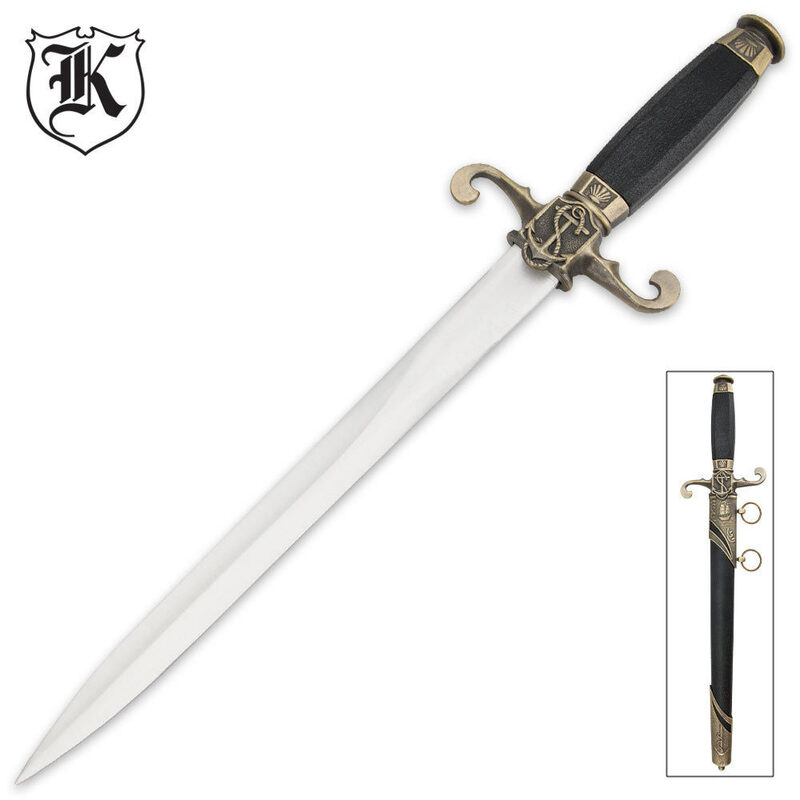 This dagger features a black ABS handle with brass colored cast metal accents and nautical designs. The 420 stainless steel blade is satin finished for a simple, yet beautiful historical reproduction. The matching scabbard fits the blade perfectly for a dagger you will want in your collection! Cool looking display knife, but useless as is. I bought this to use as a letter opener and was disappointed to find its 1/16 in. thick edge - could not cut paper. Had it sharpened so I could use it and was told the steel was not the best - only light weight. It now does the job I intended, so am more satisfied. 3 stars for quality. Very nice with the rest of my collections. Well worth the money. Sailors History with it. I got this a a prop for my LARP Pirate outfit. I looks good and is perfect for a prop only. It has a flat edge and all you could really do is stab someone a few times with it but it works for my needs.